La Pared beach, named for its colorful mosaic pared (wall) along the boardwalk, is a soft-sand inlet that Luquillo boasts as the surf and skate central of East Island Puerto Rico. When standing in front of el Monumento—the monument built in honor of the tiger shark that supposedly protects the beach—you have a flawless view to the east of the sunrise in the morning or the lighthouse and the distant haze of the Fajardo city lights at night. Straight ahead is the open Atlantic Ocean, and to the west lies the deepest point of the Atlantic— the Puerto Rico Trench. Following west along the coast, you pass the fortress-lined shores of San Juan and eventually arrive at Puerto Rico's famous surf destination, Rincon. But as Bob Roberts of Bob’s East Island Surfing Adventures said, Luquillo has everything a local or tourist needs to spend a day—or lifetime—at the beach. Bob owned and operated a surf shop in Luquillo in the 1980s with his wife Suzy and has stayed at the beach ever since. Within the past ten years he has shifted his business to instructing surfing adventures. His adventure starts out on la orilla (the shore) with 30 minutes of instruction on safety and surfing techniques. His instructors, Justo, Brad and Jeremy, help each student perfect their “ready position” and stance on the board and teach them how to paddle, stand up on the board and even the best way to fall off the board in a "wipe out" and how to escape a riptide. Then it is time to dive into el mar (the ocean) for 90 minutes of riding las ondas (the waves). 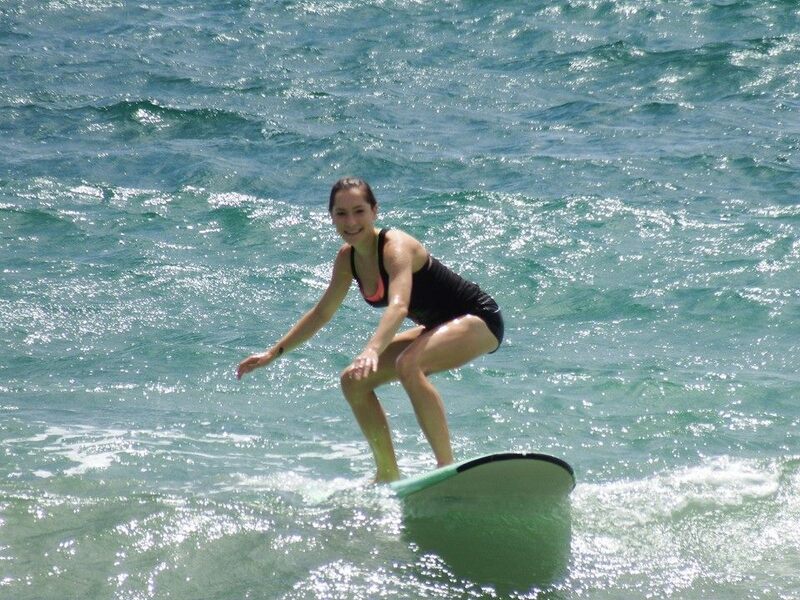 The comfortably warm Caribbean sea at La Pared is perfect for low-intensity surfing because it only reaches a few feet deep by 100 meters out, so beginner surfers can catch the white waves, which indicate shallow water, or the intermediate-level green waves as the tide rises. Bob reassures his students that although surfing is a difficult sport that takes years to master, the success rate of his beginner-to-intermediate level course is surprisingly high. Virtually all students catch at least a few waves and remain standing all the way to shore, as many of our guests have told us. Since some people need help just getting onto the board, while others are quickly ready to ride more challenging waves, Bob and his crew pride themselves on their personal approach to teaching that caters to all levels of surfers. Bob lectures and demonstrates the techniques excellently, even bilingually when necessary. 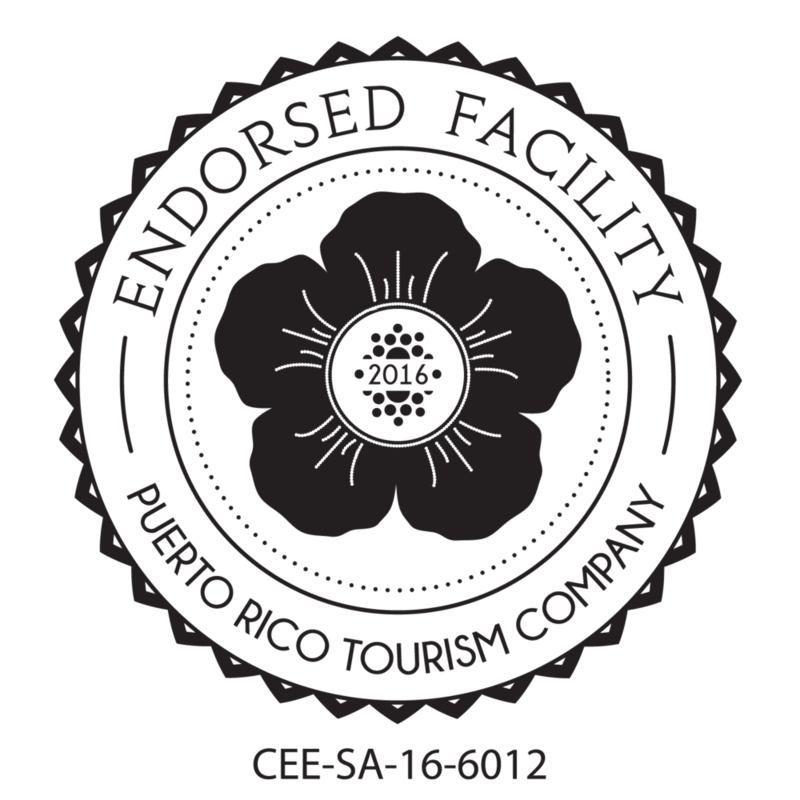 All the instructors are genuinely encouraging and high-spirited; their love for the sport and Luquillo is apparent in their upbeat but laid-back instruction and bright expressions. Because friends and family may have a hard time believing that you actually managed to ride a wave, Bob’s crew takes plenty of pictures of every student. They post on Facebook only the photos that make even the short bursts of beginner’s luck look like longer rides that come from years of experience. Check out our Puerto Rico Travelcast (on iTunes or here) for an interview with Bob that goes deeper into his adventures in Puerto Rico and his surfing lessons. Héctor Muñoz, the co-founder of Hacienda Muñoz in San Lorenzo, Puerto Rico, intently watched the timer on a handsome red stainless steel Bendig coffee roaster in Hacienda Muñoz’s Doppio Cafe. Because he roasts the coffee so dark, the beans must be released from the roaster at exactly the right instant or else the whole batch will burn, Muñoz explained. At that pivotal moment, he opened the roaster to release a waft of rich aroma into the roasting hut and a wave of perfectly toasted 100% arabica beans into the cooling mixer. He smiled as he scooped out a handful of beans for onlookers to taste. The bean, still warm, had a satisfying crunch and a toasted bitterness that left us craving an entire cup. Hacienda Muñoz roasts have the mouthwatering piquant fragrance and sharp flavor that distinguishes traditional Puerto Rican coffee. Muñoz roasts and packs four varieties on property; House, Dark and Premium Dark as well as Traditional Puerto Rican coffee selected from beans grown in Yauco, Puerto Rico. Coffee production is one of the newest additions to the original catering business that Muñoz and his mother Yiya began in 1999. Their hacienda has since grown to include Yiya’s Restaurant, Amanda’s Wood sports bar, Doppio Cafe, an event venue with a large patio and a guest villa all bordering the plantation. They established the plantation, which now boasts 74,000 coffee trees, in 2005 with the intention of creating jobs and empowering local farmers to help reinvigorate coffee cultivation in the area. Peacocks and chickens roam the property and the open architecture of the patio and buildings allows a 360 degree view of the lush rolling countryside dotted with rows of coffee trees. Hacienda Muñoz is the closest coffee plantation and roasting house to the Rainforest Inn and provides a good reason to go on a picturesque hour-long drive through the El Yunque mountains. We made the trip on a Sunday intending to take their public coffee tour—which we later discovered only runs Wednesday through Saturday 10 am and 2 pm and by appointment only. Upon our arrival, we were graciously greeted by Joseph, the manager who, despite having a lot on his plate that afternoon, gave us a brief tour of the roasting house and restaurant. Since our initial plan was foiled, we could not pass up dinner at Yiya’s. As he did with many of his guests, Joseph checked in on us periodically to make sure everything was to our liking. Yiya’s Restaurant provides an extensive and varied menu that features house specialties with a subtle spin on traditional Puerto Rican cuisine. We ordered the Filete de Salmón a la Parilla and the island’s esteemed dish mofongo, which surprised us with its smoked flavor and unique incorporation of ham in the plantain dough. The amiable waitress obliged to Bill’s request for a vegetarian version without blinking an eye and Renée concluded that the fried plantain tostones were the highlight of her meal. One of our interns, Chelsea, experienced her first ever monfongo since arriving in Puerto Rico. She ordered the chicken version and especially enjoyed its smoky ham flavor and the salsa criolla; the mofongo is topped with either this tomato-based sauce or a garlic sauce called salsa al ajillo. Another one of our interns, Mel, ordered the Lover’s Drink; a strawberry, piña colada and mango-layered frapé. Though she was reluctant at first to take a sip and disturb the artful layers, Mel slurped down the frapé in a matter of minutes once she dared a taste. Our after-dinner coffee was a perfect finale to the outing. Bill ordered a cappuccino which, because of the generous portion of milk in the espresso, made for a satisfying drink closer to the traditional Puerto Rican café con leche. Mel ordered an americano and was pleased that she could recognize the distinct Puerto Rican flavor of the fresh dark roasted coffee beans. After tasting the final product, we cannot wait to get a look behind the scenes of Hacienda Muñoz coffee on their tour, and we will be sure to recommend our guests take the scenic trip and plan to spend an entire day at Hacienda Muñoz. "Our koi pond attracts dragonflies and houses fish that eat the mosquitoes"
This June, we crossed the fifteenth name off the list of Rainforest Inn reservations. Despite the nearly 100% success of our natural mosquito abatement program, the main culprit behind this unusually large number of cancellations is the fear of Zika and the idea that there must be a lot of mosquitoes at the Rainforest Inn since, after all, it is the El Yunque National Forest jungle. But that same jungle is also home to many small creatures that eat every mosquito they can find. Travel to Puerto Rico has decreased significantly in the last few months due to the mosquito-borne “Zika virus epidemic.” This trend frustrates us and our peers in Puerto Rico’s tourism sector because it is based on rumors, speculation and hyperbole. We value the health and comfort of our guests, and we are in agreement with the majority of our sector that the Zika virus does not pose a significant threat to travelers. It is important to be educated on the virus, to put it in perspective with other well-known mosquito-borne health threats for which travelers are accustomed to taking precautions—such as dengue fever and malaria—and to take comfort in the measures implemented by the tourism sector to combat Zika. As for the relative danger of Zika, malaria proves to be a more serious threat to travelers. The U.S. Centers for Disease Control and Prevention (CDC) reports upwards of 2,000 cases of malaria every year in the U.S., almost all in recent travelers, and the World Health Organization estimates that malaria caused 214 million clinical episodes and 438,000 deaths worldwide in 2015. The CDC reported 1,075 cases of Zika, including one death and one microcephaly case this year in Puerto Rico, and 1,732 total cases in U.S. states and territories. At first Zika was considered a mild mosquito-borne illness—merely causing a typical headache, fever, rash and red eyes—but has recently caused a scare due to its link to microcephaly and Guillain-Barre syndrome. The CDC projected that more than 20 percent of Puerto Rico's population could be infected with Zika in an outbreak expected to peak this summer, according to the Associated Press (AP) article “Puerto Rico's tourist industry feels economic sting of Zika” in May. The article also states that this alarming prediction has been criticized by some Puerto Rican officials, such as Puerto Rico’s Health Secretary Ana Rius who told the AP that those numbers are exaggerated and improbable. 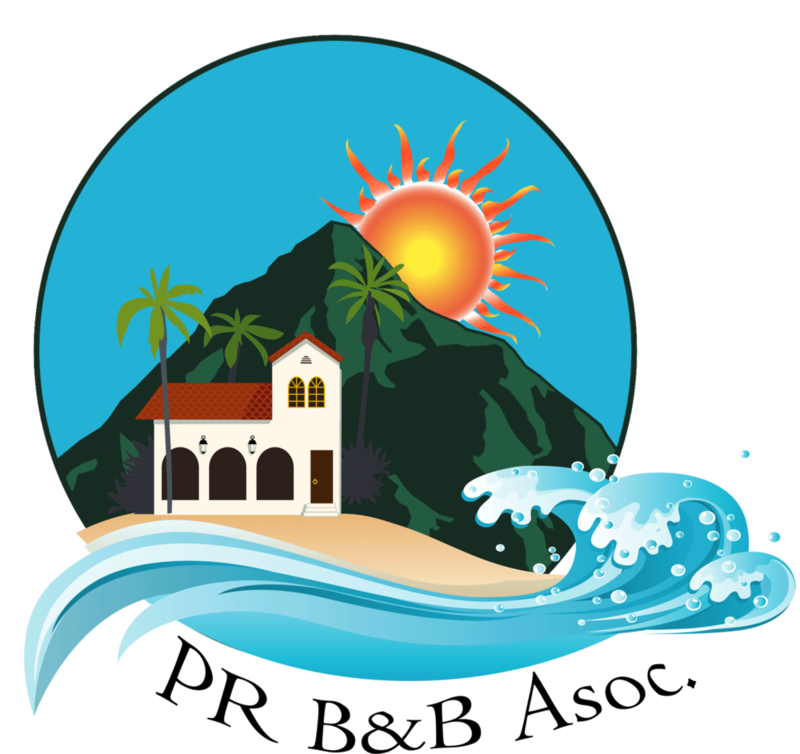 According to the Baltimore Sun article, “Feds are scaring visitors away from Puerto Rico,” Clarisa Jiménez, president and CEO of the Puerto Rico Hotel & Tourism Association, said that the CDC is irresponsibly embellishing health information reports, which have developed into fear mongering that has spurred detrimental consequences for the Puerto Rican economy. The Rainforest Inn was sucked into the downward spiral of the island’s tourism industry—previously one of the few sectors that stayed afloat in the otherwise drowning economy—by the “Zika epidemic.” Tourism once represented about seven percent of Puerto Rico's economy, but its recent decline due to the Zika scare will provide less help in alleviating Puerto Rico’s ten-year recession and growing public debt. In an attempt to decrease the fear-mongered Zika scare created by desperate news media, the Puerto Rico Tourism Company has launched PuertoRicoNow.SeePuertoRico.com to provide potential travelers with current information about the virus on the island, such as the article “Perception vs. Reality: Setting the Record Straight on Zika In Puerto Rico.” Additionally, hotels and tourist destinations have been providing welcome packets with bug repellent and safety information as well as training staff on mosquito abatement. 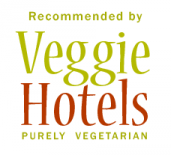 While many hotels rely on chemical pesticides, the Rainforest Inn stands apart with our use of safe and sustainable biowarfare to fend off mosquitoes. Our program integrates a variety of natural predators of mosquitoes: our koi pond attracts dragonflies and houses fish that eat the mosquitoes that make it through the dragonfly barrier and attempt to lay eggs on the water. With the abundant spider population and the bat homes we constructed in the forest, in combination with cane toads, anoles, a variety of lizards, seven species of coquís and one native iguana on the property, the Rainforest Inn is a death trap for any mosquito that ventures near. 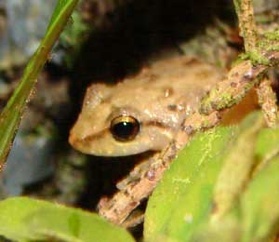 Bats, amphibians and reptiles are abundant throughout El Yunque and provide their ecosystem services around many other tourist destinations in the jungle. Our biowarfare program also coincides with our mission of environmental responsibility because avoiding the use of pesticides allows the natural rainforest wildlife to thrive and continue to protect us and our visitors. Disproving the common misconception that a bed and breakfast enveloped in the jungle is a mosquito hotspot, our guests are regularly surprised by the almost non-existent mosquito population around the Rainforest Inn. So, despite the escalating Zika scare, the Rainforest Inn is still the same safe paradise it has always been. Many of our guests have commented on the music we play during breakfast. It is a special list of songs that René has put together over the years in iTunes. The following link will download a PDF list of those songs. Music is a very particular thing, everyone has different tastes and different favorites. This list is from many cultures and has some eclectic choices. I hope that listening to some of these choices will remind you of your stay at the rainforest inn. A cornucopia of colmados and cuisines -- The Luquillo Kioskos! The kioskos of Luquillo Beach serve as a mecca for Puerto Rican culture, a cornucopia of colmados and cuisines. This stretch of fried food shanties to 5-star dining has given the Northeastern side of the island a great hangout. A place for visiting tourists and locals to merge in a must see flair that you won't find anywhere else. Resting on the shores of Luquillo Beach, on one of the last beaches free from any high rise condominiums and development, the Kioskos have a deep-bedded history and a growing future. In this edition of the Rainforest Inn blog I'm going to bring you a multi-part special of the history, ever changing present, and talk with the new mayor of Luquillo about his plans for the kiosko's future. Right now there are about 60 plus operating restaurants and stores, with the first half (coming from San Juan east) a little newer, updated and a tad bit fancier, with the last half being…well think "static food truck". There are actual food trucks and carts set up in the parking lot, as well. The variety, food and style, of this strip is unparalleled. Choices ranging from rice and beans, burgers, seafood, traditional Puerto Rican food, Philly cheese steaks, ceviche, Italian, German etc. etc. to a plethora of different frozen coconut cup concoctions that are perfect after a warm day sun bathing on the calm shores! Names and numbers are used interchangeably, but some vacant lots and sometimes closed options keep the numbers a little sporadic or out of order. New places are always under construction as well, so something different might have popped up since your last visit. Many of the kioskos have glass cases in the front of their shop--this is tropical island fast food! Grab something quick like a delicious and crispy bacalaito, arepa or a sweet and cheesy pionono. 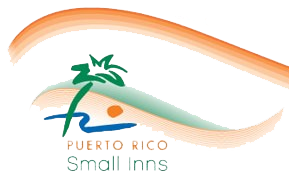 But if you're looking for a great sit down dining experience before or after you walk in from the beach, just in the backyard, there's a few great current places you can't pass up on your visit to the Luquillo Kioskos. El Jefe Burger #13 is always highly recommended to our guests, great burgers stuffed with jalapeño, chorizo and even rib-topped with their house made Jefe queso sauce is something you'll be dreaming about when you return back in the states, or even if you're local. Washed down with a pitcher of Lemon Ginger Mojitos, this always hits the spot. An excellent family friendly environment, and drawing on the walls is even encouraged! La Parilla #2 is excellent for a romantic night over a delicious lobster dinner, in which case this "glass case" couldn't be fresher. Not only can you have a great meal, some of the kioskos are a great place to kick back, chill on a drink, play darts, karaoke or dance Congas by the Sea #9 and Terruno #20 serve up great authentic Puerto Rican fare with smooth jazz and other live music a few times a week. Ely's place #10 is LGBT friendly with great events planned throughout the month, and delicious made to order Puerto Rican delights. El Revelu #25 is a brand new joint with a huge selection of Microbrews, which is hard to find around this side of the island. Tattoo Tavern #17 cater to your alternative crowd, with luxurious gothic décor, open late, and if you have enough $1 Chichaito shots you can make your trip to the kioskos a truly unforgettable permanent stamp on your body! Vejigante #31 has a great seafood paella and the décor of masks adorning the walls and colorful paint are paired with excellent service. La Roca Taino #60 is the oldest of the bunch, here you can grab a great plate of rice and beans for just a few bucks, and on Sunday nights check out hot rod motorcycles and tricked out motor bicycles, along side caravans of horse back riders. Variety spans every aspect of the Luqillo kioskos, there is truly something for everyone and culturally cannot be missed. I've always hated gardening, the constant weeding in the hot sun, all the squatting down and bending over, hauling mulch and manure- all of this is disagreeable work to me! But of course, I love the results, who wouldn't love a whole meal produced right from your own backyard? I have friends and relatives that absolutely love the process of gardening, a good example would be my niece-in-law's garden and you can read about the happiness she finds, in what I regard as onerous toil. Her blog is even called, Backyard Happiness. Planting a water garden is so much easier, and you can truly find zen and peace in the simple upkeep of this little water community. There is no stooping down and weeding, no mulching, and no tiling, look at the photos of our watercress. It grows so densely packed that pesky weeds can't find their way through. The lotus, lilies and water lettuce are low upkeep and actually serve to feed the fish too. These plants are very prolific, you don't have to fertilise them often and even have to toss out some when they grow too fast. The koi fish also help with their natural fertilisers. To me, having a water garden you can enjoy your fruits of labor in a different sense by the zen calmness in getting to enjoy a relaxing seat by the pond. Also none of my pond plants have died because I forgot to water them. Everyone was working hard yesterday getting the Rainforestinn ready for our winter season. Laurie was pressure washing the big porch by the pond. Thomas (our volunteer from New Zealand) was grinding down the cement floor for the new gym. Jon and Caitlin were putting in the electric and water lines for our new aqua-ponics greenhouse which will use water pumped from the pond for the hydroponics. Anna (our volunteer from Maine who was returning for a visit) was in the new yoga room working on a photoshoot so that we can post some pictures on our website. Most any adventure is found because of the perceptions you bring with you. This blog is not for the person who can’t leave "home" behind or thinks even the color of the coffee is a problem. It is for the fearless at heart and the romantic of mind. Nothing kills a great vacation like inflexibility and rigidness. You could have a much nicer vacation if you don't sweat the small details. Oh and don't forget to leave your huge expectations at home. Sure we all like that familiar schedule of our daily life but accepting the challenges of traveling often changes your life in unforeseen ways, sometimes even dramatically. How often do you walk down a 200 year old cobblestone street hand in hand and then dine at a sidewalk cafe or do you take a hike deep into the rainforest and get lost to find yourself sleeping there for the night? It's romantic to have couple time and to commune with nature, being in an unfamiliar place adds the spice. We recently had a couple staying with us who turned what could have been a hiking disaster into an adventure and a remarkable memory. More on that a little later. Our tiny bed and breakfast has all kinds of guests from all walks of life and all age groups. The best traveling guests can not be anticipated ahead of time, unless of course they are the guests that should have been recommended to another more commodious (read "stuffy resort") place in the beginning. Here at the Rainforest Inn we are urban pioneers of a sort. We have gotten used to going with plan B from the first days of our repairs of a hurricane-ravaged family estate. Before we opened our bed and breakfast we didn’t have electricity or running water. Now that calls for a lot of flexibility. I won’t say we didn’t want to kill each other once in a while, then that same evening we would have a candle light dinner on the roof of one of the unfinished buildings on the property. Don’t think for a minute that we didn’t sometimes say W.T.H. did we get ourselves into, but that's another whole blog. Nick and Ena's hiking disaster happened after they made it to a secret waterfall deep in the El Yunque Rainforest on the Mameyes river that we had talked about as a potential hiking destination. This is a spot reserved for only the adventurous and not easy to find. It's off a trail that is not one of the paved easy trails that everyone else takes. It's located past the end of a steep muddy trail up a ways deeper in the rainforest and even more secluded. In the photo: Behind the large rock in the center of the pool in front of the waterfall is deeper water where you can swim in and out under the full force of the falls. This secret waterfall is one of the nicest in El Yunque tropical rainforest. As an aside, an important aside, please don't send me an email asking for directions to this waterfall. It's not that we don't want people going there (or maybe that's part of it because it is a really unspoiled location) but it's the danger of hiking there that must be made very clear first. We also talk with our guests at breakfast about other easier hikes and about what you can do to avoid getting lost and what you should do once you know you're lost, then they make their decision on which hikes are for them. Because this is not the first time I've been involved in rescue process of someone lost in the rainforest I've learned some things, many of which are counter-intuitive and surprising. There are great differences between our El Yunque rainforest of Puerto Rico and the northern deciduous forest where most of our visitors have gotten their hiking experience. The rainforest is a "jungle". It's very dense and everywhere confusing green growth blocks your view. I guess most people realize this as it's what jungle means. Once a hiker goes off the trail he won't be able to see far enough to find the trail again and it will be very difficult to make your way through the dense growth and even more difficult to plan your route as cliffs and other obstacles won't be visible until you're right on top of them. The usual boy scout rules for what to do when you're lost don't apply here. Don't stay where you are (unless you're injured and still on the trail -- if you're injured and lost then you're really screwed which I will explain soon too). Please understand two important differences about the process of searching for lost hikers in the El Yunque rainforest of Puerto Rico and how it would be done in a vast northern forest like the Appalachians or the Sierra Nevada. 1. Puerto Rico is a small island. It is only thirty miles by one hundred miles. You could walk from one side to the other (from the Caribbean to the Atlantic) in less than two days. 2. We don't have search planes (or at least we don't use them in the rescue process) and we certainly don't have helicopters with advanced infrared devices that will find you in the jungle (that would be nice but it is only happens in the movies). When someone is lost in the rainforest we find out because the hikers told us or told someone else where they were going that day and they haven't returned by the next morning. For our guests we always strongly suggest they give us an itinerary of the hikes they plan to do and when. The first step after that is to look and see if their car is parked at the trail head where they said they were going. Then we hike down the trail to see if we find them down there still because they may be injured. This time I was in San Juan working so my nephew Jimmy volunteered to hike down the trail. In the worse case we look for evidence that there was a flash flood in the nearby swimming areas. We also take a very loud air horn which can be heard like from my bed and breakfast to the peak of El Yunque and back. But everytime I've done this first step I've never found anyone and luckily never found evidence of someone being injured. The next step is to report the missing hikers to the El Yunque security patrol officers (or often done as part of the first step). In this case we called Jose Ayala the law enforcement patrol captain of the U.S. forest service enforcement and investigative branch. They have arrangements with the local Department of Natural Resources and the Rio Grande rescue volunteers and they will organize and mobilize the vast effort to find someone who is lost. It is important to realize that this next step is costly and will likely involve many days of fruitless searching because as I explained earlier the rainforest is dense and visibility is poor so our searchers will practically have to step on you before they find you. This is why if you get lost in the rainforest and then get injured you are in such deep trouble. It will likely be several days or more before you are found. So please if you find yourself lost and you don't have a map, or a compass, or a GPS or a cell phone then avoid panic. Realize that all is not lost. It will be fairly straight forward to walk out of there. If you have no idea which direction to walk then go down hill. Follow a stream. Be careful with the slippery rocks and go around impassible brush while you walk beside the stream following it down hill. Eventually that stream will hit the ocean and well before that you will encounter a road and civilization. Puerto Rico is a small densely populated island and there are houses everywhere. Our guests Nick and Ena got lost when it started raining on their way out. In their hurry to get out of the rain and because of poor visibility they got off the trail. They knew that they could find their way out and didn't give up even when the straight line route (you can catch glimpses of the sun or go by elevation changes to be sure you're not walking in circles) ended at a cliff and several patches of nearly impassible brush. As darkness was descending upon them they realized they were spending the night in the rainforest. They had drinking water (never hike anywhere without enough drinking water) and it doesn't get so cold at night here but you will spend an uncomfortable hungry night. They spent the night, watched the sunset and the darkness close in while listening to the raucous jungle sounds. Ena discovered some insect life she would have rather not have known so intimately while she tried to sleep. The following morning Nick spotted a coke can up the hill and later a discarded tire (they were happy to see the litter of civilization) and walked up past that to find the road. We hadn't yet mobilized the search and rescue crew and everyone went back to the Rainforest Inn. Ena mentioned they were disappointed that they would miss the ginger pancakes breakfast. We were very happy to see them when they returned at around noon or so and made them their ginger pancakes for lunch. They are now looking forward to their next visit to Puerto Rico and some more hikes, possibly shorter hikes. Nick and Ena are the perfect example of your fearless and romantic travelers who learned first hand that life is what it is and so is traveling! We're nearly finished now. Laurie has moved all the rocks around the edge so that you can't see the pond liner. This illustration shows how the bottom rock is inset and the water level comes up halfway on that rock. We did it like this except we ran the pond liner up higher behind the second rock so that the level of the water comes up to nearly the same height as the surrounding dirt. In fact on the patio side of the pond we put the liner across a shelf and up high behind the rocks which border the patio. This is now filled with dirt contained with plastic ground cloth so that we can plant bog loving water plants there. The papyrus and the sealing wax palms are two of the bog-loving plants. I hope everyone isn't completely bored with these updates of our pond project. I took a picture of Laurie right after she finished hiding the liner edge with rocks. Now the only thing left to do is for me to fix the leak in the bio-filter tank and fill it with stones so we can turn our waterfall on and start the filtration process. I'm also getting a little excited about planting water lilies and lotus flowers. They are really pretty flowers. They open every morning and close at night. I'm not really a gardener. Laurie does all the planting. I usually just build the infra-structure and maybe plant an occasional useful plant like a fruit tree or a papaya. But these water lilies are really fun to watch bloom. You also don't have to do any weeding. 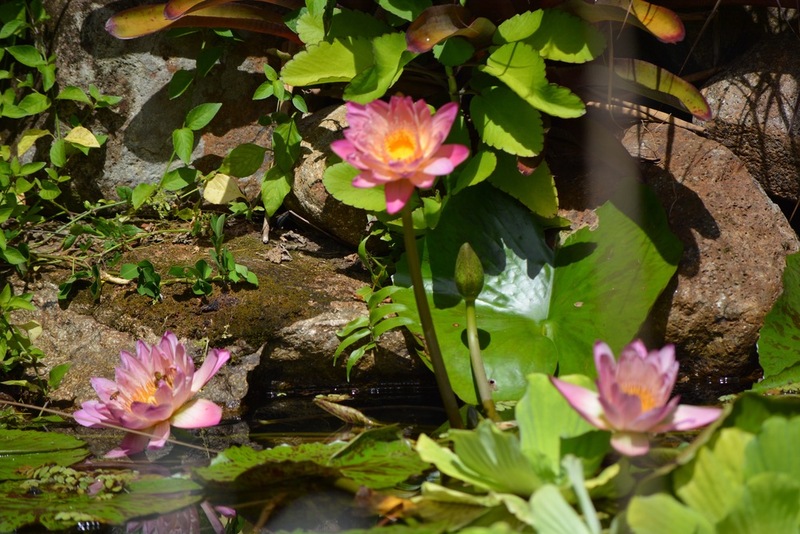 Having a lot of lilies and lotus flowers will limit the type of fish that we can put in the pond though. Koi will eat the lilies and root around in your underwater pots damaging them. I think we may just stick with some of the amazing varieties of gold fish. Large orange gold fish and black moor gold fish swimming around will be beautiful and the just eat dog food like our other small fish that we put in to make sure there would be no mosquito larvae. I took a couple of pictures of Laurie and Joss moving the big rocks away from the pond edge. It illustrates how strong a woman and a boy team can be. If I was an artist I would also insert a nice drawing showing what we are trying to accomplish here but instead we will make do with words. The pond is lined with black plastic but the pond is supposed to look like a natural jungle pond (ideally a peaceful zen-like pond) which you might stumble upon while hiking in the jungle so the black plastic needs to be hidden. We found out after we had all the rocks in place that one side of the pond was a little high so it was difficult to hide the black plastic on that side with rocks. We also realized that the best way to hide the plastic is to have a shelf of rocks a little way below the top level of the pond. We are achieving this by pulling out one layer of sand bags on the high side. It is also necessary to back fill dirt very close to the edge so that we can root plants that will drape over in places and also look natural. The plastic will loop up a little behind the low level of rocks before we back fill with more rocks and dirt. This will contain the water when we bring the level of the pond up again. It sounds so easy when I describe it like that. For those of you who are reading this with the intent to build your own pond I suggest that you plan having that small shelf about a foot below the final level all around your pond. Then below that you should have another wider shelf of about 18 inches deep to place low beds of contained soil for your lilies. The shelf we put in was a little deep so we had to raise our soil beds with concrete blocks. It seems like every year there's a new buzz-word for the way we do things at the rainforest inn. We do them all. We collect rainwater in cisterns. We compost. We built the high post-and-beam ceilings out of old cedar recycled from the large old multi-family home that was here before and destroyed by two hurricanes. We grow lettuce in old gutters. We're just finishing an aqua-culture pool, recycled from a big old cracked swimming pool, that will grow tilapia for our dinner from the many decorative plants that thrive in the pond water (actually pond scum). We save electricity every chance we get and are moving on to the installation of a large windmill (when the technology is there with enough reliability and absolute quietness like we're used to here). Our septic system is split with gray water for the gardens. The aqua-culture filtration tank will have lettuce and tomatoes growing in it (and big beef steak tomatoes are impossible to grow in the heavy rains up here any other way). But why do we happen to be running a bed and breakfast that fits in with all the new eco-lodge projects and incorporates so many buzz-words? Do we study on the internet all the coolest things and copy them or is it a coincidence? I think there is an explanation for the coincidence. We built our finest "wedding suite" from recycled cedar because it was beautiful wood but mainly because re-cycled wood was free. We collect rain water in cisterns because, at the time, there was no other water source. We conserve electricity, have green hot water heaters, high ceilings with large breezy windows and many fansbecause electricity here is so expensive. We orient the houses and the windows to catch the constant cool trade winds. All the power on the island is from imported oil burned in inefficient power plants and very costly. We grow spices, papaya and bananas and everything else we can because it makes the best yummy fresh breakfasts for our guests and (similar theme here?) it saves us money. I think the same thing is happening with a lot of other small businesses and households like ours. The solutions seems to be to try and supplement your power with solar and wind resources. Grow your own. Enjoy what you have and be creative with your new projects. Don't feel bad if someone asks you why your latest project is taking so long to finish. It turns out that doing everything yourself slowly and buying each of the components as you can makes for far more interesting results. It isa lot more fun and rewarding to know that most of that construction was done with your own hands. And it is sure a lot of fun showing guests around our completed projects and basking in the admiration. We have started planting lilies in our pond. We have found some purple ones, some white ones, and some bluish ones. We got them from friends and from one of the nearby resort hotels. You can go to any hotel with a pond feature and talk to the gardeners. They have to thin out the ponds all the time and they just throw away the plants they pull out. You can see in the picture at the left that new roots grow out on the stems of the big leaves. Just cut off the big stem to separate it from the larger plant and put those roots down in your pot. Try to find a pot with a pretty big mouth as the tubers reproduce and grow sideways. Line the pot with plastic weed cloth to keep the dirt in and use dirt that has none of those little floaty white things in it (vermiculite?) like you find in potting soil. We used a mixture of sand, clay and composted manure. Wrap the edges of the weed cloth over the top around the plant and put gravel or small stones all over to hold the dirt in. You want the pot to be about 12 to 18 inches (the top of the pot) below the waterline. We used concrete blocks under the pot to bring it up to the right level. The leaves and flowers float up to the surface and the roots (hopefully) stay down in the pot. If your pond is small and shallow you can just put the roots down in the muck at the bottom of the pond. If you look closely at the photo of the purple lily you can just see the top edge of the pot and you can see some pots behind it that have smaller lilies that haven't grown up to the water surface yet. We are madly planting as many water plants as possible to reduce the amount of sun that penetrates the water because we have seen algae blooms before and would rather not have any in this pond. Our new fish pond is filled and Laurie has started to plant around it. All that remains is finishing the bio-filter and adjusting the liner edges to look natural. As you can see in the picture we have cleared all around the old pool and finished putting all the sandbags in. The block walls of the bio-filter are also in place. You can't see it but all the underground pipes and conduit for the pump power and lights are in place too. The next thing we have to do is add big stone walls to make it look nice (we hope). What have we learned so far? Lesson #1 when laying a block wall. Even if you don't have much cement left and even if Home Depot is closed early on Sunday it still is not a good idea to try and conserve cement by changing the 1 to 3 ratio of cement (along with 25% calcium carbonate added to the cement) to sand. It turns out that the resulting mortar looks just the same but doesn't stick the concrete blocks together. We had to redo the first course of blocks the next day when we bought some cement. Kadafi's big truck arrived today with the stone. It is from a local "Cantera" and each load of stone costs $200. I will need one more load of smaller stones to place around the tank. The following quicktime video is of the truck dumping the load. It was more spectacular in person because the ground shook. Our friends Greg & Linda at the neighboring horse farm Hacienda Siesta Alegre gave us these used carpets to help pad the ground when we put in the pond liner. They bring the carpets in from Florida to use as padding on the floor of the airplanes which they ship thoroughbred race horses in to local horse farms and for the race track here in Puerto Rico. So these carpets will have been recycled twice. It took me a while to figure out how to plumb this. The majority of the water is going to pump directly to the waterfall but some of it has to go through the bio-filter (not too much as you don't want to upset the balance of organisms living there which do your filtration). So there are two gate valves to regulate those flows. Then there is an over-flow basin for when the pond gets to high and a big ball valve to open the pump directly to the overflow for when you want to drain the pond. Then another basin drain in the bio-filter tank so you can clean it out. Our volunteers came here for a three month stay in the rain forest. Lou and Laurie are Horticulturist and Landscaper. Nate and Caden are on a break from work (starting a new job in Nevada) and school (studying Ecology). Hi. My name is Pedro. I’m writing Bill’s Bed and Breakfast blog this week because Bill is busy entertaining visiting relatives in addition to running the inn during peak season and opening up a new five bedroom villa. I’ve been living here at the El Yunque Rainforest Inn for about eight months now. This is the first time I’ve had the chance to hang out “behind the scenes” at a B&B guest house and it has been very interesting. Small places like this get their personality from the owners and Bill & Laurie certainly have some personalities. Bill is from the west coast and Laurie is from the east coast. Bill grew up in a large family which raised their children absolutely laissez-faire. He basically did whatever he wished with no adult supervision. He has stories about inventions he made as a child (one of which blew up his bed). Laurie, on the other hand, grew up in a strict organized environment working as a very young girl in her parent’s business. So you can imagine that they don’t always agree about how to run the bed and breakfast. Bill is busy running his ship’s agency which leaves Laurie in charge at the inn. But Bill still has time to interject free-style inconsistencies which keep things interesting. I want to tell you about the girls, my favorite subject. Lizzy is a platinum blonde beauty. She has been with Bill & Laurie the longest. Although she is popular with the guests she proved her unreliability last year in a spectacular fashion. She took a hiatus (without either Bill or Laurie’s approval) for nine months. I worried about her whereabouts all that time but remembered also that the workers are often not on time and have been known to take off from a job sometimes for weeks without notice. In Puerto Rico it is more important to stop and help someone who is in need then to be on time for a job. Lizzy came back very nonchalantly one day after her vacation with some excuse about how she was kidnapped. Laurie was relieved to see her again but by that time she had transfered much of her affection to Bella, one of the younger girls (but not the youngest). Bella is always a real angel around here, a little prissy and whinny and not as popular with everyone like Lizzy (the blond) but admired for her extreme (and completely self aware) cuteness. Sometimes Bella will show up in the kitchen wearing some boutique get-up that only her and Laurie can appreciate. The newest girl is Maya. She has only been here a short while but acts like she owns the place. She leaves her belongings out in the public areas for the rest of us to pick up. She doesn’t know how to behave around guests. She is usually being disciplined by Laurie and always forgiven by Bill. She thinks she is the one in charge and often pretends to supervise. She is into everyone’s business. She tries to make sure that everyone is where their supposed to be and lets us know if someone shows up unexpectedly. Sometimes she reminds me of an SS officer on patrol of the rainforest perimeter. I hang out in the kitchen which is the center of the bed and breakfast. I am probably the one who spends the most time with Laurie as she not only prepares the incredible gourmet meals here but also all the rest of the meals for the volunteers. One of the guests took pictures of me because I’m a real Puerto Rican. I felt like the native Americans must feel when tourists photograph them as if they were part of the scenery. I was reluctant but Bill assured me that it would do no harm and that my photo would end up on an interesting web site and anyway it would only take a few minutes. Well, a few minutes turned into hours. I was never quit sure what was expected of me because the photographer and I didn’t speak the same language. After that everyone was “where’s Pedro”? I had disappeared for a couple of days to let them know what I thought of that whole deal. This island is full of Pedros like me and please guys choose someone else next time. After I returned Laurie assured me that I would never have to do that again. So now I’m back with my favorite girls and in my place of honor in the kitchen. You may have guessed by now that Lizzy is an eleven-year-old silky terrier mix, Bella is a four-year-old mini Yorkshire terrier and Maya is a one-year-old Belgian Malanois. But did you figure out that I’m not who I seem to be? I am the resident coqui who lives in a crystal vase in Laurie’s kitchen. You can read about me in an earlier post and see pictures of me in my vase. Oh! Don’t let me forget to mention Heather my newest favorite volunteer who sports a drawn on Luigi mustache sometimes to liven up the kitchen work place. And she’s a "Real" girl. Thank you Bill for letting me do the blog -- Pedro, aka Laurie. Sometimes I think we live in the fifth time zone. At The Rainforest Inn the housekeepers have us on a schedule. We wish we had them scheduled around our guest’s breakfasts, check-ins and check-outs. On our schedule today is today, on their schedule, today is sometimes mañana. The guests want their breakfast today not mañana. Their rooms need to be ready for check in today before they arrive not mañana. I hired a mom and her daughter. Both of them part time. I figured between the two of them somebody would show up when I needed them, today. Not mañana, after I have completed their work. You’ve heard the old saying "all the good men are already taken". Well, all the good housekeepers are taken too. Maybe they are living somewhere with all the good men. Anyway, it is fifteen minutes to nine today and I have 8 hungry people waiting for my gourmet breakfast (which should be served at nine today not 9:00 Mañana) and I am all alone. Normally, Bill helps me when I need it but he had to go to San Juan early this morning and is not here to help me. If I was into strangling the help, today would be their unlucky day. Puerto Rico has a very laid back culture. That is one of the great draws of the Caribbean islands. But, I have to admit that when I depend on my help and they don't show it doesn’t seem such a great feature. The other day neither housekeeper showed because the grandmother had a dental appointment. What?! And before that neither came on time because they had to go and buy some school supplies for one of their kids. "Oh". I told them, "My guests didn't want to wait until 11:00 for breakfast so I went ahead and prepared it without you". Tardiness is right up there with the no shows. Showing up at 8:00 a.m. to help with breakfast does not mean that is the time you set your alarm to wake up. Hence, mañana – the fifth time zone. Regaton is one of Puerto Rico’s latest cultural innovations and has become very popular stateside. Puerto Rico’s long-standing fifth time zone concept has taken a little longer to catch on. We have tried everything here at the Inn to get the housekeepers to meet our schedule. We have scolded them and we have tried rewarding them. Wouldn’t you like $50.00 extra at the end of the month just for showing up on time? When that didn't work it really surprised us! Holidays and the weekends are their free time, period. I will schedule them and even beg them to please come once in awhile on a Saturday. But they will not show and come mañana instead. I needed them Saturday of course, not mañana. Here in the islands (not just in Puerto Rico) the workers train their employers well. We don't schedule them during these times anymore. Bill and I wish we could have grown up in a fifth time zone. Can you imagine never having to worry about being late for work or even showing up on the right day? Fortunately, for us there are young people who have the mind frame and the freedom to take time from their regular life and graciously volunteer for a few months at a time, with only room and board as payment. And I do mean graciously volunteering. They work hard and do a great job too. They always show up and are on time because they live here with us. Can't beat that. For the past year, Peter, one of our volunteers from the states who is now moving on with his life, was my best assistant cook (and always showed up on time and on the right day). He often did the whole breakfast himself to give me a break. It will be hard to replace him. He was always pleasant and my best worker and trust me I am not the easiest person to work for. Sometimes I can be a little brash and I have some perfectionism stuff going on, so I have been told. As of today, I have given up. I’ll never ask either housekeeper to work on a weekend, holiday, today or even mañana, again. They are now free to live in the fifth time zone. ( I may regret this mañana) Now I no longer have my housekeepers or my assistant cook but I do have one of “the last good men out there”. Many thanks go to Bill, for all the times he let me drag him into my kitchen to help me with the breakfasts (which is my job not his) and didn’t complain, well maybe he did a little. Now if I could only get him to show up on time, could it be he may be slowly slipping into the fifth time zone too? All and All I think I will survive. Every day I have the sunshine, warm, mountain breezes and the serenading song of the coquis here in El Yunque to remind me that this is just one of life's minor annoyances. I’m afraid though, *-I sometimes feel the calling of the fifth time zone too. Mañana.